Taxes are painful but there are laws that protect and impose them, so there’s no other choice but to abide by the rules. But there are things you should know about them, their extent and limitations. Below are the 10 most important tax facts. Filing an income tax return is not applicable to everyone. Are you confused? Does it mean you’re encouraged to break the laws that protect and uphold taxes collection every year? No! This is not the implication. The income you enjoy and receive each single year is subject for computation which serves as the basis of whether or not you’re going to file a federal income tax return. There are many factors that have to be considered such as how much you earned in the previous year, your filing status, your age, as well as the source of your income. Most taxpayers avoid paying taxes by finding the standard deduction and by adding the personal exemption to the resulting figure. The bottom line is that there are exemptions to filing of a federal income tax return. Tax breaks can still be enjoyed even if you don’t file a federal tax return. The so-called tax credits refer to the dollar to dollar reductions that are found in your tax liability form/s. Tax breaks have more benefits than the deductions because the latter just only reduce your tax payable based on your income. Furthermore, for American Opportunity Credit (AOC) there’s still a possibility for you to have a money back along with credits even if you’re not having any tax to pay. If you’re a student, you have the a permanent AOC for some expenses like tuition fees. How much is the maximum credit? It’s $2,500 for every qualified student. The maximum percentage to be refunded is 40%. Another term you should know regarding this is EITC or earned income tax credit. This is for the workers having low to moderate income. Kids are not a precondition to this; however, they help increase this benefit. The maximum credit to be claimed is $503 for workers without qualified children. The maximum amount, to some extent, is up to $6,242 covering 3 or more eligible children. There’s no need for you to itemize the factors of certain deductions. The deductible factors like a student loan interest deduction is not needed to be itemized when availing or taking advantage of this. But you have to keep in mind that most deductions must clearly be itemized. The IRS on the other hand has provided a leeway for adjustments to income. This happens when you’re not obliged to itemize the credits that you’re going to claim. Keep in mind that the checklist of deductions is found below the form 1040 front page. The most popular on the list are IRA deductions, moving expenses deductions, and the student loan deductions. This is compulsory – file a tax return if you’re unable to pay your tax bill. It is an important reminder that when you fail to file a return and to pay your tax due, there are corresponding penalties you will tend to suffer. Those penalties can damage your pocket. To avoid this unwanted circumstance, make sure that you can file your return if you feel you’ll miss the payment. There are doable options for you. The choices you may have include but not limited to paying through credit cards or availing a payment scheme through the IRS. You can take any of these options once you aren’t able to pay your full tax due on the specified date. For self-employed individuals, estimating the income is significant. If you’re one of the self-employed people in this world, there are things you should also know about taxes. The tax system in general adopts the principle of “pay as you go.” For the employed, the employers automatically withhold the taxes from the salaries of the workers. Then the withheld amounts will be turned over to the IRS. In comparison, the self-employed don’t have employers, do they? So there’s no withholding of taxes that is automatically done for the employed ones. 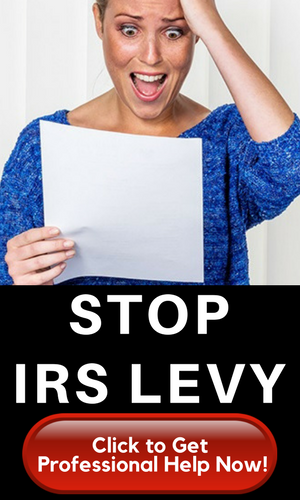 The IRS wants you to do the job for them. You need to pay up if your expectation is that you owe the amount exceeding to $1,000 at the Tax Day. Who are covered by this? The self-employed individuals are those professionals, freelancers, landlords, S corporation shareholders, businessmen doing businesses or trades through partnerships, and those who have significant investments in stocks, mutual funds and the like. The estimation is done through the use of federal form 1040ES, together with the Estimated Tax for Individuals in PDF. The interval of payment is every 3 months. If you pay late, then you’ll be paying penalty fees. Filing schedule extension is not the extended time to paying your tax dues. Yearly, a Tax Day is always set. Now if you’re unable to file your tax applications on that particular day, you can simply ask for an extension. How to file this extension? You can use the federal form 4868. There you can find the Application for Automatic Extension of Time to File. This is in PDF and is downloadable. There are also other applicable strategies available for you. Just always think that such extension to file that is requested is not the same as the extension be given for you to pay your dues. Is there any cost when filing it? None! However, if you think you can owe during the tax period, a corresponding payment with regards to your extension application is needed. This must be done to avoid further penalties. The best option? File on time and don’t procrastinate. Even if the year-end already passes by, there’s still one chance for you to have a tax due deduction. This is more interesting. You can still take advantage of the benefits of tax breaks during year-end. One very effective method you can do in this regard is to have a savings fund for your individual retirement account or IRA. It is in accordance to the rules where you can contribute a lot to your IRA. Then, let such fund work for your previous tax year. You can enjoy this privilege if you do it during tax time. Caveat: The government is always eager to do drastic measures (but only) if you fail to file and pay your tax obligations! What are the possible things the government might do against you? Confiscation of your passport is one. You want the state to do this to you, aren’t you? To avoid penalties, make sure that you abide by the rules. Taxation is a law and it’s a serious government business, to say the least. Compliance is as important as you need to breath every single day for you to exist. The more painful repercussion happens when you owe back taxes. What will the government possibly do? Your refund might be affected unfavorably. Collecting the due amount from your wages is also a possibility. To avoid from these drawbacks, comply and obey the rules and regulations. Always take note that the IRS is always willing to work with you. If this agency is sending you letters, don’t ignore them. Address the issues promptly. Otherwise, you’ll suffer from the adversities the government can legally do. Find a tax pro that does not compromise your pocket. Your busy schedule might affect your capacity to file on time your tax documents. So what will you do? You need to hire a pro to help you with this obligation. Most people might tell you that doing this can break your bank. It’s a wrong notion and perception because this is not always the case. Hiring a tax expert professional is not that complicated and expensive. You can ask your friends for possible referrals. 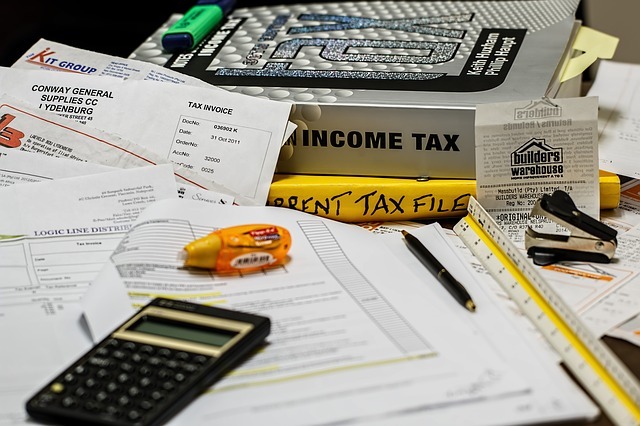 Though a tax expert is not always good for everyone, but this might be the way for you to have peace of mind and ease in doing so. You can also use the Internet to find for the right person to do the job. One very important reminder for you if you’re going to hire a pro is to assess his or her credibility and capacity levels. If he or she is asking for a compensation, which is really the case to be, he or she must have PTIN. The IRS has the information regarding this based on its database. You can use such database to evaluate and gauge that person’s credibility parameter. You don’t know before any of the things related to taxes that are cited and explained recently. But now that you already have the knowledge, you’re equipped. You can act things the right way. You can enjoy tax breaks based on some certain conditions. However, it’s more important for you to understand that paying your tax dues and obligations, if you’re not exempted from complying with it, is the most important civil task you need to do.